/ Modified jun 13, 2018 1:11 p.m.
Satellite image of Hurricane Bud, June 12, 2018, before it was downgraded to a Tropical Storm. The last time there was a measurable rainfall at Tucson International Airport was February 28. The streak, which reaches 105 days if there is no measurable rain Wednesday, is the fourth longest on record. 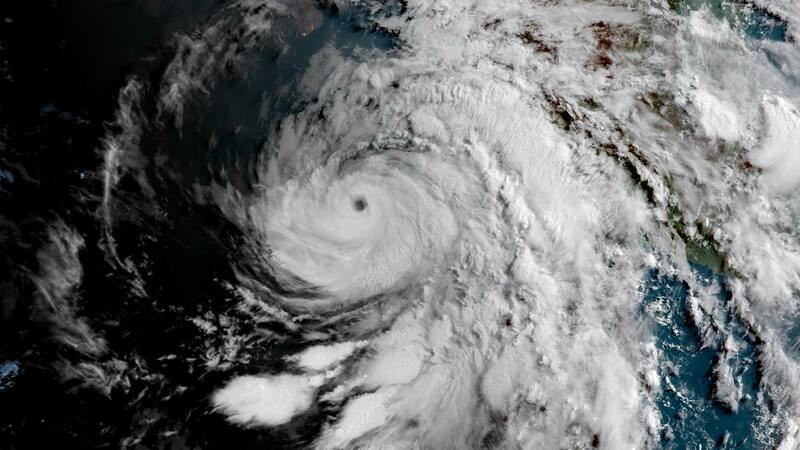 A storm traveling up the Gulf of California is likely to bring an end to the streak in the coming days, according to National Weather Service Forecasts. 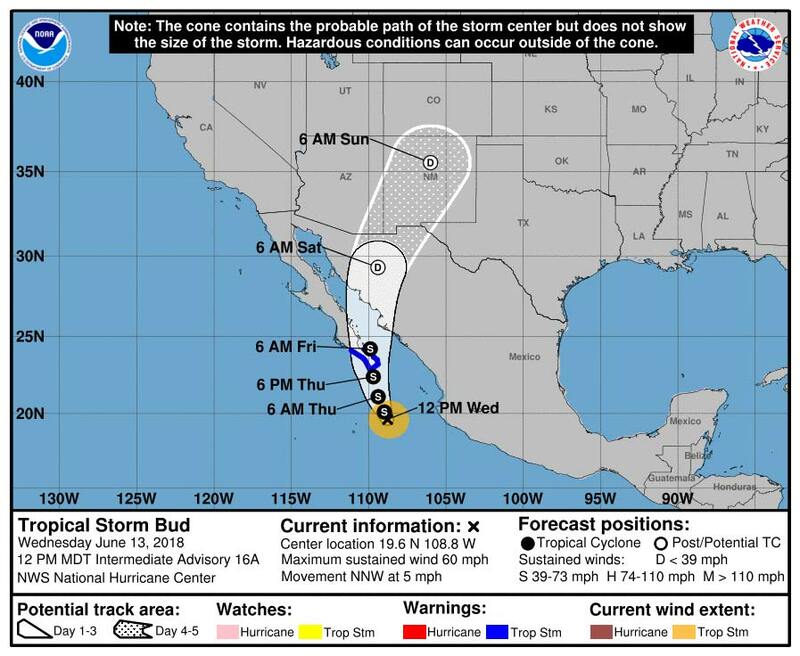 VIEW LARGER The path forecast for Tropical Storm Bud as of midday Wednesday, June 13. "What's going to be the main impact is all the moisture that streams up into Arizona ahead of Tropical Storm Bud," said NWS meteorologist Rob Howlett. "We'll see quite a few thunderstorms develop Thursday, and then more potential rain Friday and Saturday." The storm was downgraded from a Hurricane early Wednesday. The storm does not mark an early start to the monsoon. "Hopefully this will be a nice, beneficial system that gets things started," said Howlett. "We'll go back to drier conditions for a little bit before usually in that first week of July when things really kick in full swing and we get into a typical monsoon pattern." NWS forecasts predict as much as two inches of rain in southeastern Arizona.